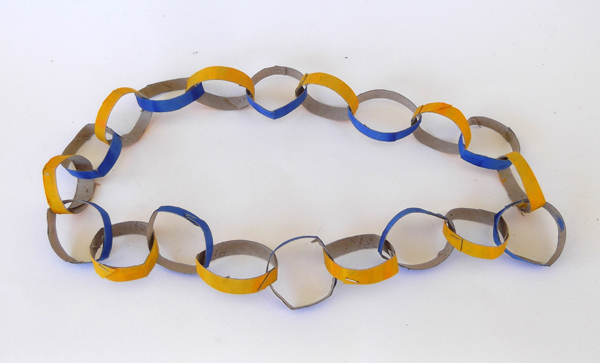 A chain is a series of connected rings which are typically made of metal. 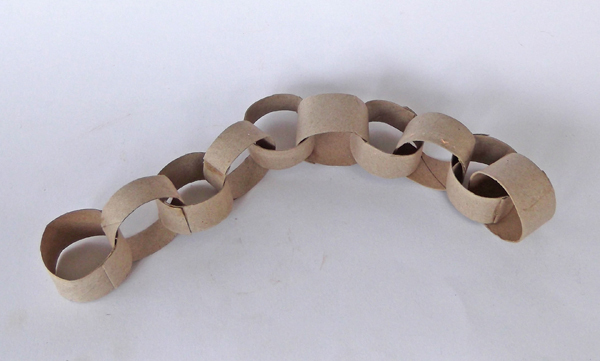 In this project kids can make paper chains, and use these chains as decoration garlands. 1. 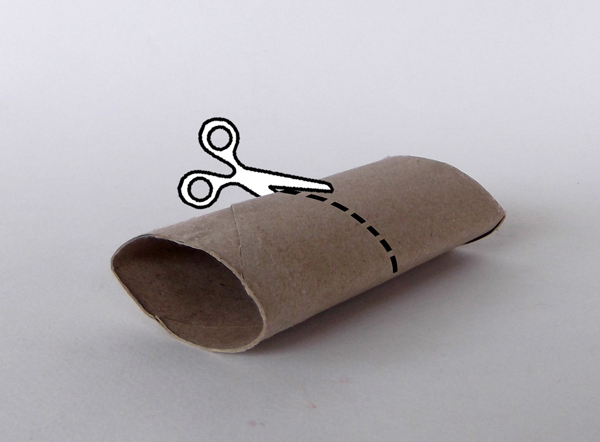 Cut the paper roll in half. 2. You'll have two rings of equal width. 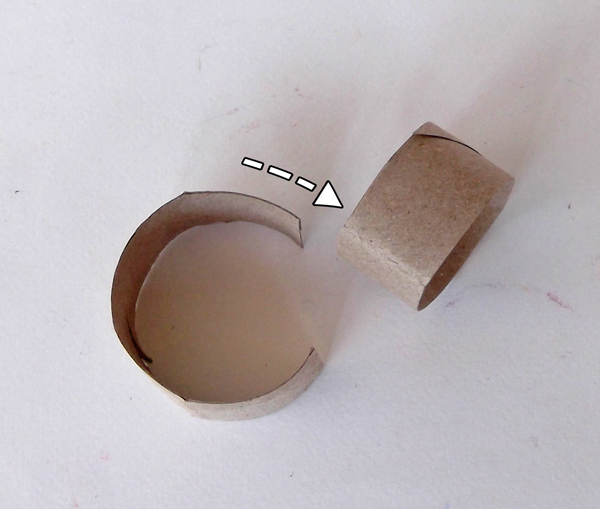 Cut both rings in half. 3. 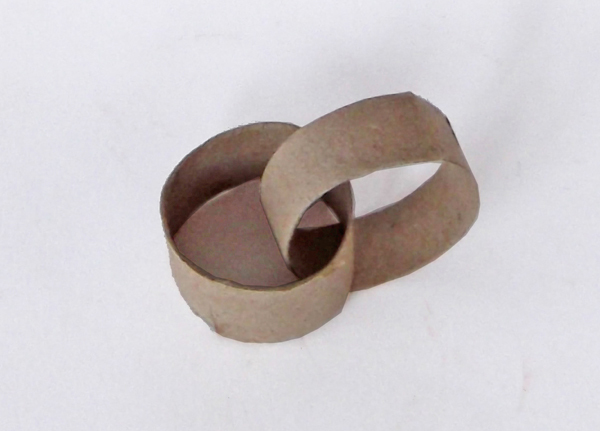 From each tube you can make four rings. 4. 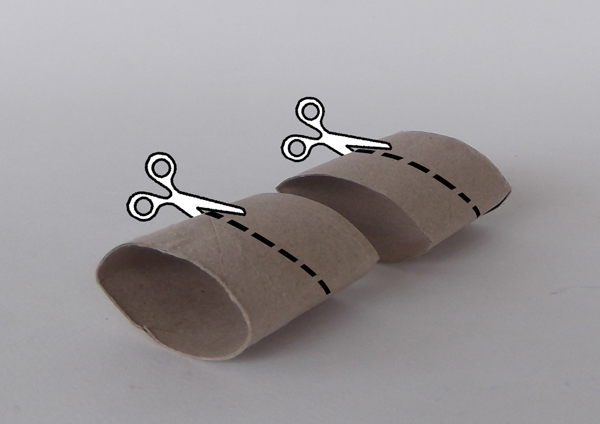 Pick one ring and snip it with scissors. 5. Pass the open ring through a closed ring. 6. 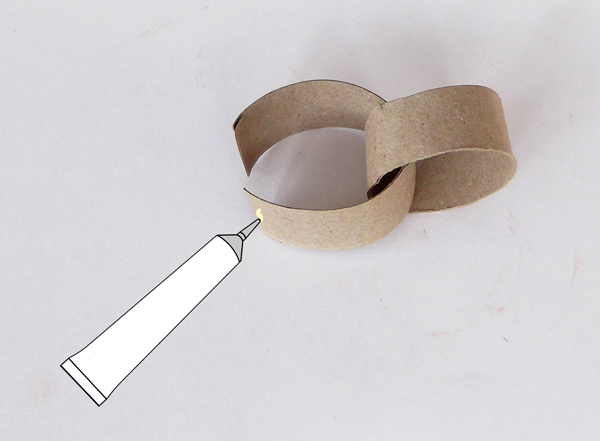 Apply glue on the one end of the open ring. 7. 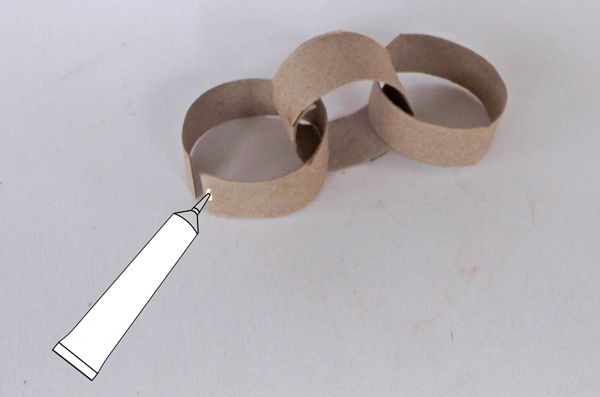 Glue the ends together and let them dry. 8. 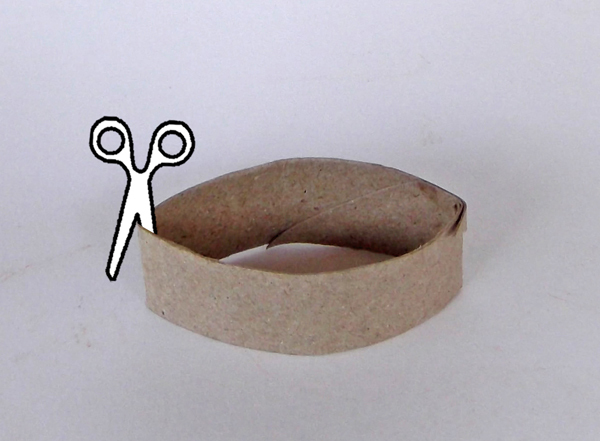 Snip and glue one more ring to the chain. 9. Add more rings to make a long garland/chain. 1. 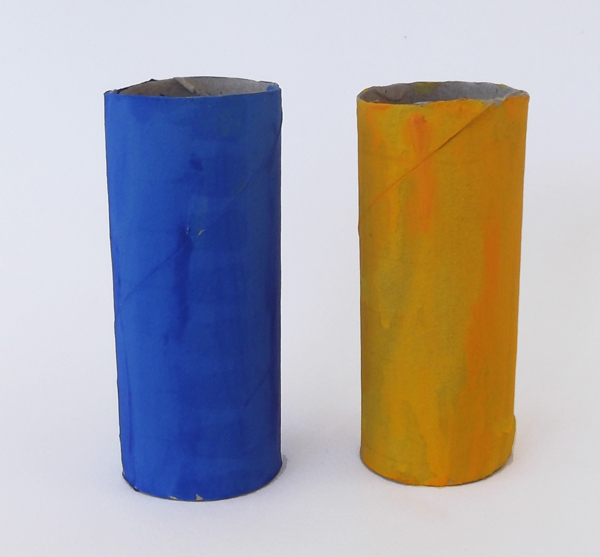 Paint with watercolor paints at least two paper tubes. Pick two contrasting colors. 2. 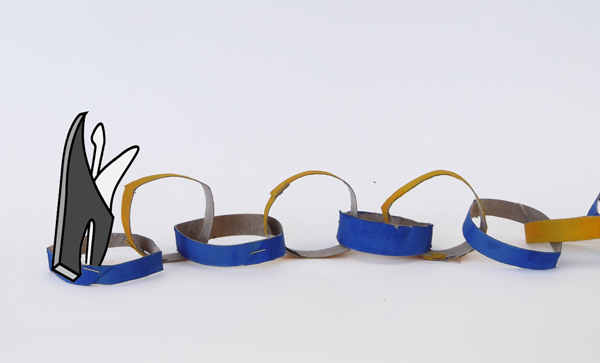 Cut the tubes into several narrow rings. From each tube you can make 9 to 10 rings. 3. Pass the rings one inside the other, forming a long chain. Instead of glue you can use stapler. 4. You can even make a necklace bu linking the first and the last ring together.